Because you simply cannot make high-end driving shoes out of canvas (perish the thought), the parent company of Gucci, Saint Laurent and other luxury brands is involving itself in the protection of Madagascar's Nile crocodiles. For many people in impoverished areas of Madagascar, collecting and selling the wild crocodiles' eggs provides important income. 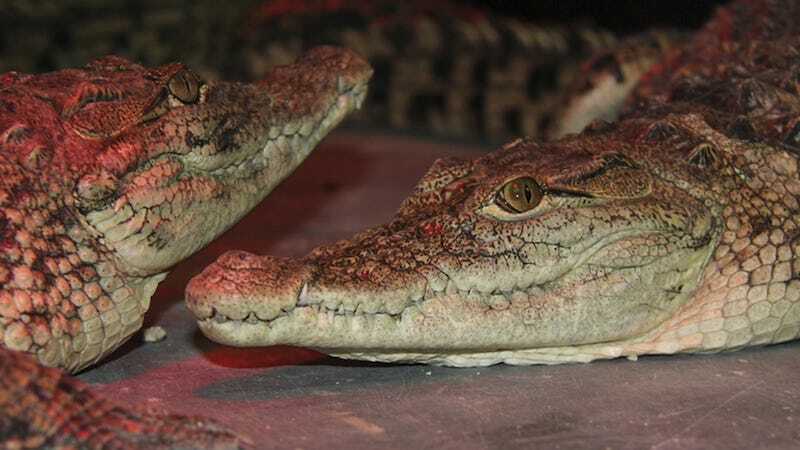 "It's about training them, and ensuring there are still crocs there, that they don't empty a whole area of eggs, so that there's no reproduction," said Hetland. "We'll be doing regular training programs, and what we usually do is hire local consultants to do the work on the ground, to make sure management is going the way it should be." Of course, Kering isn't doing this out of the kindness of its corporate heart. It's all about protecting their supply chain. Back in 2010, the Convention on International Trade in Endangered Species of Wild Fauna and Flora temporarily banned dealings in the island's crocs, over concerns about population levels—and Kering certainly doesn't want a repeat. Last year the company also bought a fancy French tannery that specializes in the skins. LVMH, meanwhile, went out and bought their own damn Australian crocodile farm. So there's your peg for a Crocodile Dundee remake.